HUB Zone is a US Small Business Administration program for companies that operate and employ people in Historically Underutilized Business Zones (HUB Zones). The federal government is required to contract with HUB Zone certified small businesses; the annual goal is 3% for all federal agencies. 1. The business must be a small business. 2. The business must be entirely owned by citizens of the United States. 3. The principal office for the corporation must be in a HUB Zone. 4. 35% of a company's staff including consultants must reside in a HUB Zone. 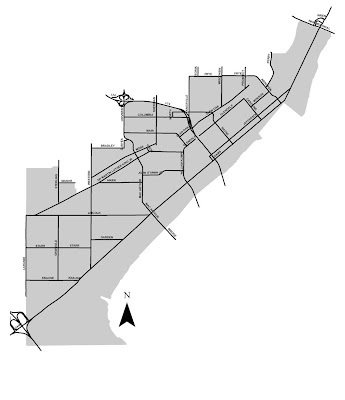 The map above shows the HUB Zone in the City of Peoria. It is generally the older part of the city in the Heart of Peoria. The HUB zone provides a tremendous opportunity for new start up businesses that plan to sell services or products to the Federal Government or large corporations.